Living with dentures is far from ideal. No one knows that better than someone who wears them! 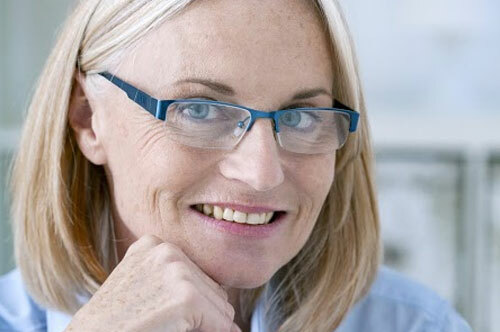 We understand how tiring dealing with full and partial dentures can be – we hear it from our patients all the time! At Really Smile Dentistry we’re proud to be able to offer a wide range of dental implant services that can completely eliminate your need for dentures. Imagine waking up in the morning and being greeted in the bathroom mirror by a permanent set of teeth – that’s what’s possible with dental implants! There are as many reasons to get implants as you can think of, but here are ten of the best reasons to ditch your dentures for implants. Hopefully something will inspire you to contact us for truly life-changing dentistry! Ever have pain and discomfort in your gums? It’s a common problem for denture wearers. Your gums weren’t made to support all the force from chewing your food – no wonder they’re red and irritated! When’s the last time your dentures slipped out of place at the worst possible moment? For many of the patients we see at our Carmel office it doesn’t matter when it happened – it’s enough to leave you in fear of your dentures embarrassing you! You shouldn’t have to live life constantly thinking of your teeth! Have you looked in the mirror and thought that your dentures didn’t look good enough? No matter how realistic or well-made your dentures are it can just be hard to get a natural look. Who wants to live with a set of teeth they just tolerate? When is the last time you ate your favorite food? Unless it’s soup or something else soft it has probably been quite a while! No matter how well they fit your dentures simply don’t stay in place well enough to allow you to eat a variety of foods. This isn’t just bad for your happiness – it’s also bad for your nutrition! Dentures are supposed to help you feel more comfortable about your smile, but do they? We’ve seen plenty of patients who avoid outings with family and friends because they’re scared of how their dentures will behave. Again, you shouldn’t have to live constantly thinking about your unstable teeth! All those soaks, rinses, special brushes and pastes … they’re probably littering your bathroom counter. Wouldn’t it be great if you could just brush your teeth with a regular brush and call it a day? That’s never going to be a reality with dentures: they’re just a hassle to clean, and that’s it. Lost teeth can lead to a sunken looking mouth, and dentures don’t always do all they can to fix that. A lot of our denture patients are unhappy with the way their face shape has changed, and part of that has to do with their dentures. Even when precision-made they still don’t mimic the look of natural teeth – they’re just too bulky! Do you worry about breaking your dentures every time you take them out? You aren’t alone. Denture repairs are a pretty common occurrence, mostly due to dropping them, sitting on the case, or other accident. Even pets sometimes get ahold of them! It’s easy to inhale bacteria that lives on your dentures. Because they spend so much time out of your mouth they end up carrying more bacteria than natural teeth, and every time you breath you’re putting yourself at risk for diseases like pneumonia and MRSA! Let’s face it: dentures aren’t the perfect solution. They’ve been around in a similar form for centuries with only moderate changes. Sure, they’re not steel and ivory anymore but they still have the same problems: they fall out, they’re hard to clean, you can’t eat well, and you’re simply not happy. You don’t have to deal with any of these problems with dental implants. From replacing a single tooth to anchoring permanent full-mouth bridges, we want to help you live the rest of your life with confidence, happiness, and all the great food you can eat. Don’t live another day with your dentures – call Really Smile Dentistry today at 317-451-4050. You can also request an appointment by filling out our online form. We look forward to seeing you smile!